As with all World Extreme Medicine courses, the faculty behind the development of this course are experts in their fields. 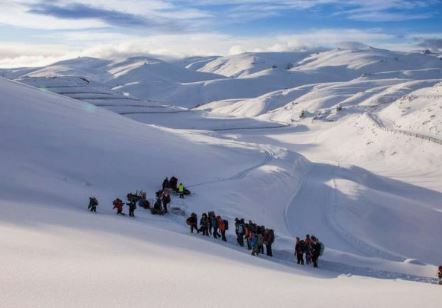 Devon-based World Extreme Medicine is venturing to the icy Southern Alps of New Zealand for its action-packed polar medicine course between the 22 and 27 July 2018. 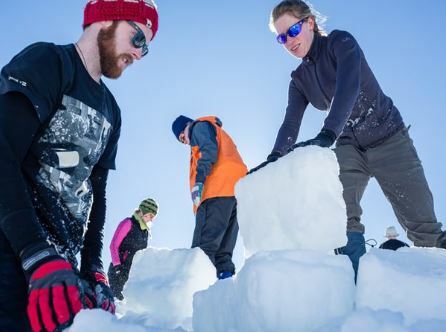 Winter falls from June to August in Queenstown with temperatures similar to polar conditions, creating the perfect opportunity for medical professionals to experience a genuine polar environment and understand first-hand how dangerous the location can be. World Extreme Medicine provides wilderness and remote medical training by offering courses ranging from mountain and pre-hospital care, to desert and ocean medicine taking place in many exotic locations. Recent courses have explored Nepal, Slovenia, Costa Rica and the Italian Alps with medical professionals receiving the hands-on training that is imperative to providing a high level of care, despite challenging circumstances. There are many perils associated with cold environments. On the first day of the expedition, participants will be talked through the basic concepts of polar medicine before being thrown into the action on day two, mastering snowmobiling, dog sledding and skiing. 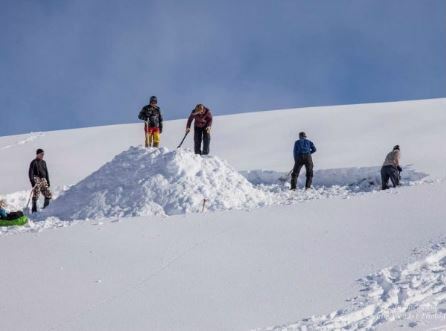 The course is packed with ways to overcome hypothermia, cold water immersion, avalanche basics, glacier travel, steep ground rescue and altitude medicine. On the final day of the course, participants will take part in various scenarios to use the skills they have learnt. The course costs $3,425 NZD and includes all accommodation, meals and safety equipment needed for the duration of the expedition. A kit list can be downloaded from the World Extreme Medicine website with a detailed break-down of all the equipment partakers will need to bring. As with all World Extreme Medicine courses, the faculty behind the development of this course are experts in their fields. For this expedition, the faculty is made up of polar and high-altitude specialists, sharing knowledge from polar expeditions all over the world in some of the most remote locations imaginable. The course accreditation will be offered through the Royal College of Surgeons of Edinburgh and those participating will come away with a thorough, practical-based set of skills which can be implemented in similar extreme situations later on. The training will be extensively practical with some aspects being taught through lectures and workshops. Mark Hannaford, CEO and founder of World Extreme Medicine said, “I believe we are providing a fantastic opportunity for medical professionals to immerse themselves in a challenging environment but also to familiarise themselves in a cold climate. As well as the many courses offered by World Extreme Medicine, they will also be hosting a three-day conference at Dynamic Earth in Edinburgh to bring together medical professionals from all over the globe. The conference promotes the sharing of knowledge regarding medical practices in some of most extreme environments and helps to advance the effectiveness of remote medicine. The conference runs from Friday November 23 to Sunday November 25 2018 at Dynamic Earth in Edinburgh, Scotland, UK and the organisers have already announced speakers for the event. Tickets for the polar medicine course are available through the website. The course runs from Sunday July 22 2018 to Friday July 27 2018 in Queenstown, New Zealand. World Extreme Medicine is based on Floor 2, Thomas Whitty House, Silver Street, Axminster, Devon, EX13 5AH, United Kingdom. Mark Hannaford is available for interview. Media information provided by Famous Publicity. For more information, please contact Ed Patience at ed@famouspublicity.com or Tina Fotherby at tina@famouspublicity.com or call the office on 03333 442 341. World Extreme Medicine (formerly Expedition & Wilderness Medicine) is the world's leading provider of expedition, wilderness and remote medicine training courses for medical professionals. Designed to provide medics with the expert knowledge and practical skills they need to become valuable members of an expedition or a remote medical team, World Extreme Medicine’s courses achieve 100% approval ratings from participants, with 82% deeming them ‘Excellent’. Courses take place both in the UK and abroad, with locations carefully chosen to enhance learning opportunities in the field and enrich the experience for all those taking part. Mark Hannaford grew up in Plymouth and began his adventure career with Raleigh International. He founded Across the Divide in 1997 and World Extreme Medicine in 2002 both based in Axminster. Through his work with Across the Divide he has facilitated the raising of over £98million for charity. 2016 - Founded Extreme Medicine Masters Programme and became Honorary Senior Lecturer. Also began work as Editor for Journal of Extreme Physiology & Medicine. This press release was distributed by ResponseSource Press Release Wire on behalf of World Extreme Medicine in the following categories: Men's Interest, Entertainment & Arts, Health, Leisure & Hobbies, Women's Interest & Beauty, Environment & Nature, Sport, Travel, Education & Human Resources, for more information visit https://pressreleasewire.responsesource.com/about.